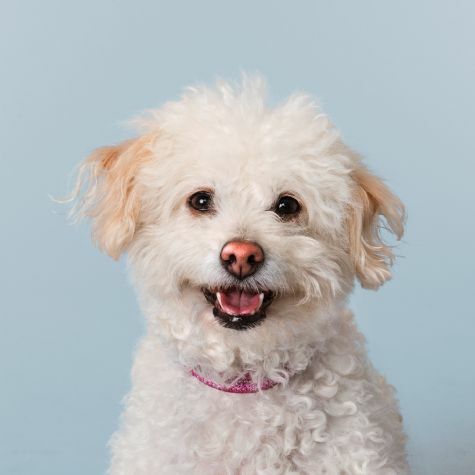 My name is Maggie, and I'm a Bichon Poodle mix rescued from a Los Angeles animal shelter. I work as an animal actor appearing in films and photo shoots. My mom says I'm very smart, because I can skateboard, ride horses, do handstands, and anything else someone wants to teach me. I love being part of Love On 4 Paws, because I love visiting the kids at hospitals and give out lots of high fives.